I have to say I am so proud of D – his lesson this week was phenomenal. Last week, we worked on technique. 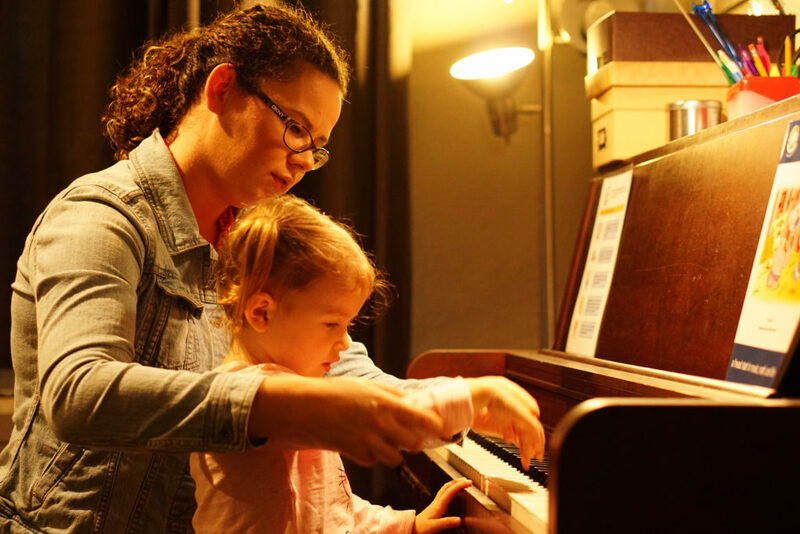 There is so much more to learning to play the piano than just conquering notes and rhythms. To sound pleasant to the ears, the young pianist needs to learn the skills of sound production. It matters how you touch the keys! With D, we focused on the technique aspect of scales. For the next few weeks, we’ll be using just one finger to play our scales. Finger 3 is the strongest finger, so we started with using finger 3 to play every note of the pentascale. Young students often do not have the strength and agility to play with musicality with all five fingers in a five finger position (finger 1 on C, finger 2 on D, and so on), so using just one finger is a great way to start working on producing those pleasant sounds we are talking about. For this exercise, we worked on a relaxed, rounded hand and floated our wrist up, and played C with finger 3. Float the wrist back up, drop down and play D with finger 3, and so on. This is totally different from how I have approached scales with D in the past. While we’ve worked on this idea on a relaxed hand and flexible floating wrist before, now we were applying it in a different way! With Practicia, we took some videos during the lesson. I recorded a three minute video where I demonstrated first and then would ask D to copy what I did. Having a video like this available for practice is invaluable! There’s no way I could accurately describe on paper how to practice this skill. Thanks to a wonderful piano mom, D spent time at the piano working on this new skill, and came to this week’s lesson with great improvement! I was beaming from ear to ear, and so pleased with his progress. His hands were so graceful; his wrists floating from note to note; he produced such a wonderful, musical sound from my piano! I quickly plucked out a “Student of the Week” certificate for him! When students are successful like this, it fills my teaching love bank so full. Seeing successes like these make my day!